Pedigree pouch Adult chicken & liver chunks 80grams . 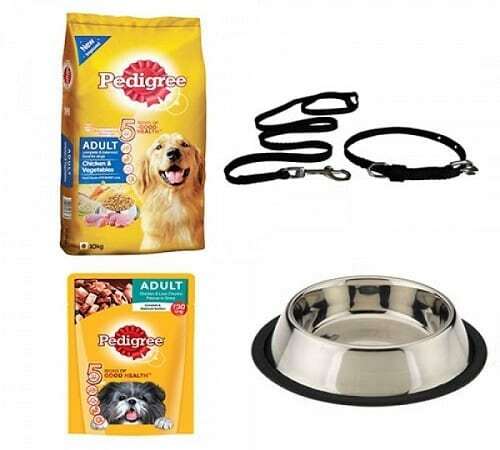 Pedigree chicken & veg 10kg / Pedigree Meat & Rice 10 Kg Medium size leash & collar. Large size bowl.